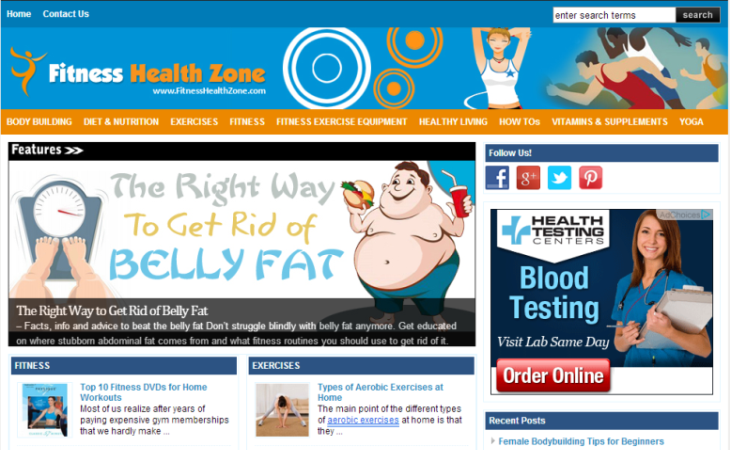 FitnessHealthZone.com Helping users keep healthy and fit; by providing expert advice and tips. Publishes latest information on fitness, exercise, body building, diet, nutrition and more. Working like an online fitness magazine, encompassing a wider range of topics, it covers all aspects of keeping fit with its articles on eating healthy food and diet elements, doing the right workout routines with the right equipment, handling stress effectively, achieving firmer muscles, more chiseled abs or tighter tummies, among others.